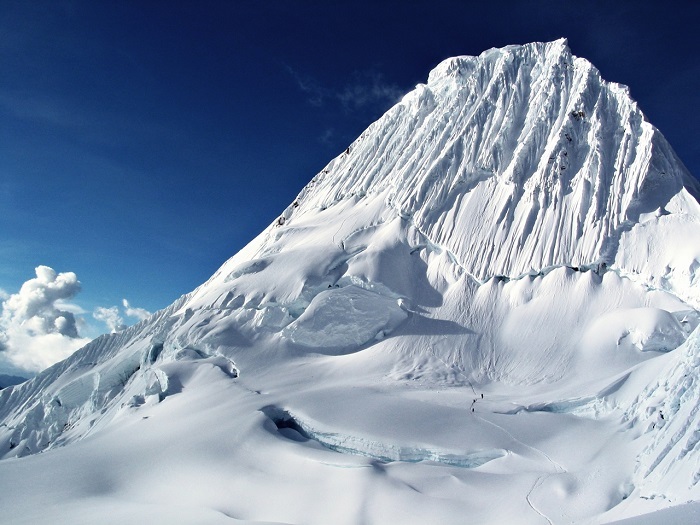 Alpamayo, also known as Shuyturaju, is an ice-clad peak in the Cordillera Blanca of the Andes Mountains, located in the western part of the Republic of Peru. 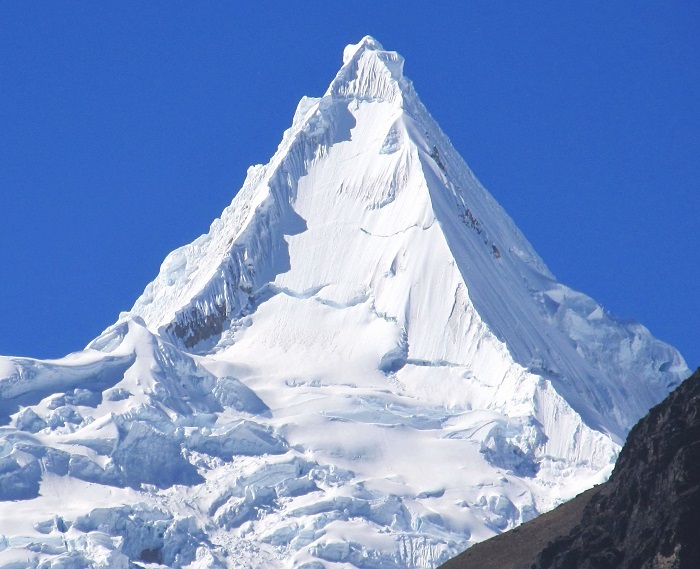 With a height of 5,947 meters (19,511 feet) above the sea, is much smaller when compared to the peaks that surround it, however, with the unmistakable pyramidal structure which entices many climbers around the world, it is considered to be one of the most beautiful ones in the world. 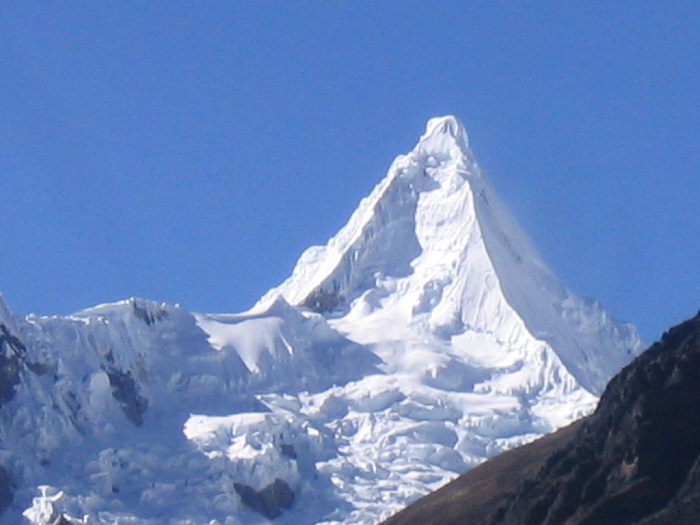 For some time it was considered that a French-Belgian expedition that included George and Claude Kogan “conquered” the peak in 1951, however, after careful observation of the photos from the expedition, it was concluded that they did not reach the actual summit. 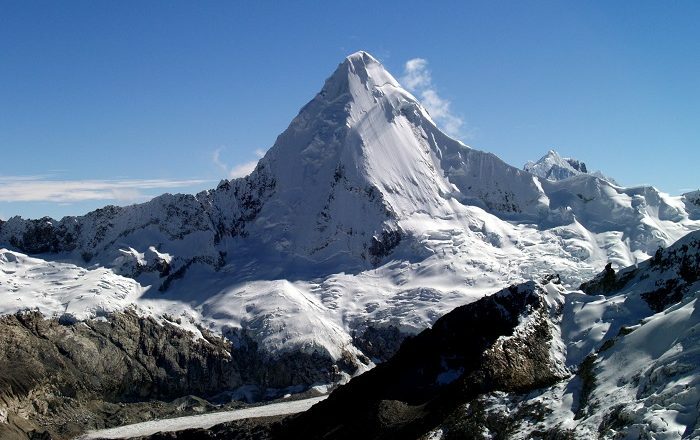 In turn, on 20 June 1957, a German expedition that included G. Hauser, F. Knauss, B. Huhn & H. Wiedmann are nowadays considered to be the first people to have successfully ascended Alpamayo. 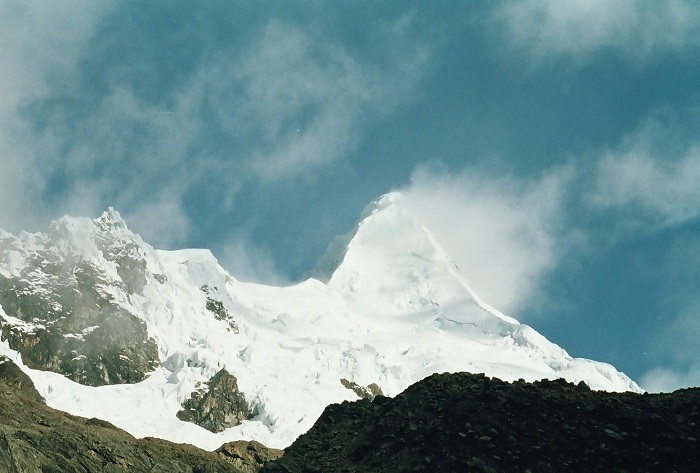 With at least seven alternative climbing routes, the most popular one is the one from the southwest face of the mountain, which was opened in 1975 and it is known as the Ferrari Route. 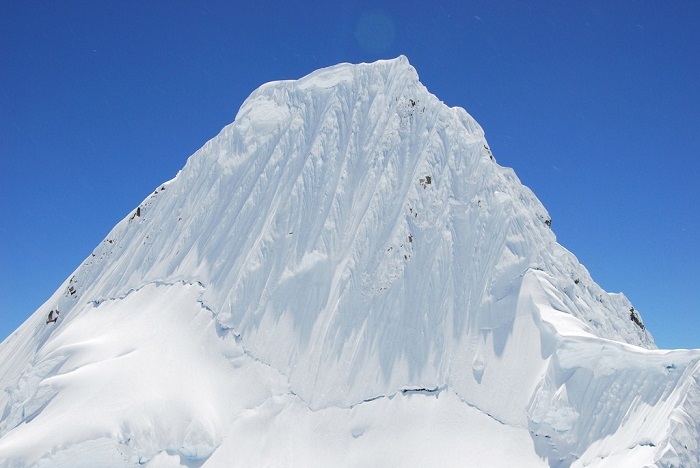 The second most popular one is the Vasque-French Route, where each and every one of the routes are giving difficulties to the climbers with the steep ice faces, penitentes (snow formation), gigantic white walls and ridges that claimed the lives of many mountaineers. 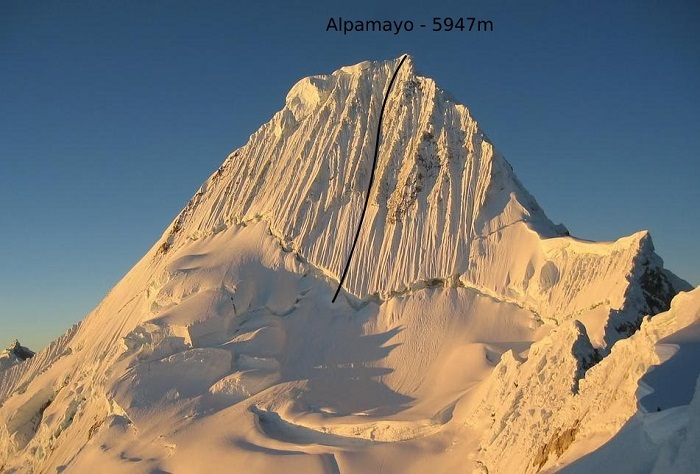 Still, Alpamayo Peak is growing in popularity among the extreme climbing enthusiasts and with the bigger crowds that are trying to conquer this impressive pyramid of Peru, there is always hope that there will be less if no victims of the mountain.